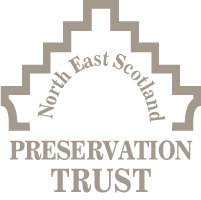 The North East Scotland Preservation Trust (NESPT) is a Building Preservation Trust (BPT) that undertakes projects within the Aberdeenshire area. The remit of NESPT is to acquire and restore significant historic or architectural properties that are not restorable by normal commercial mechanisms. NESPT was founded in 1985 through an initiative from Grampian Regional Council and the Scottish Civic Trust. It used to operate on a ‘revolving fund’ basis with the proceeds generated by one project being used to form the working capital for the next. Nowadays NESPT undertakes a wide variety of projects and provides project management and consultancy services to Aberdeenshire Council and community groups. NESPT holds charitable status and operates as a company limited by guarantee.